You can find the interview on Sequential's website here. "Josh Charles is a critically acclaimed piano prodigy, guitarist, singer, producer, and songwriter mentored by Rock and Roll Hall-of-Famer Dr. John. He has recorded for Columbia Records/Sony Music Entertainment, Island Records, and Elektra Records/Warner Music Group. In addition to songwriting credits with John Oates and others, he has toured with The Neville Brothers, Joss Stone, and the late Buckwheat Zydeco. Josh also works as a sound designer for Native Instrument’s sounds.com and SPLICE. Ethan Allen is a GRAMMY®-nominated record producer, mixer, engineer, writer, multi-instrumentalist musician originally hailing from Austin and New Orleans. His credits include Black Rebel Motorcycle Club, Ben Harper, Tricky, Luscious Jackson, The Cult, Gram Rabbit, and Sheryl Crow among others, as well as many licensing placements in film and television. On the cusp of a major breakout, Los Angeles based synth-rock newcomers ASHRR have released their debut, self-titled EP. The band recently released a captivating new video for their single 'Don’t Wait Too Long' on NPR. 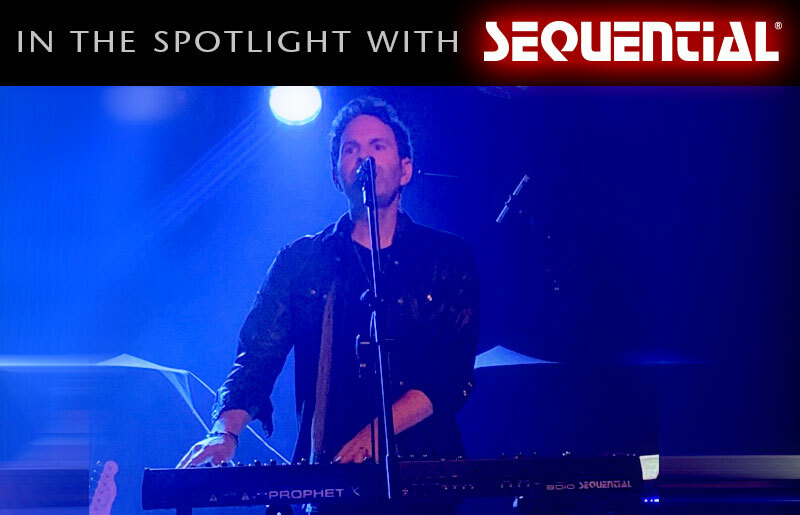 We chatted with Josh on how he’s using Sequential instruments in his music"
You can find previous posts featuring Sequential's Spotlight series here.